In fact VIX and the S&P are up for 3 straight weeks - the longest streak since Feb 2013. Typically this is interpreted negatively as it would seem people are paying up for downside protection as stocks go ever higher and ever more parabolic. But 2018 has been anything but typical: It appears that everyone's buying calls into the rally, accelerating it in the process! 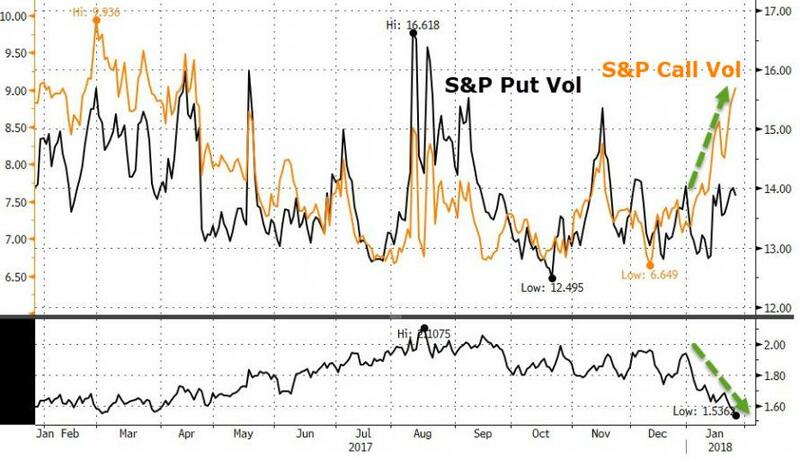 Thus the rise in VIX (which measures the 'around the money' implied vol of the S&P) is being driven higher by exceptional demand for calls - upside levered bets that this crazy melt-up continues - as demand for downside protection slides lower the higher the market goes! 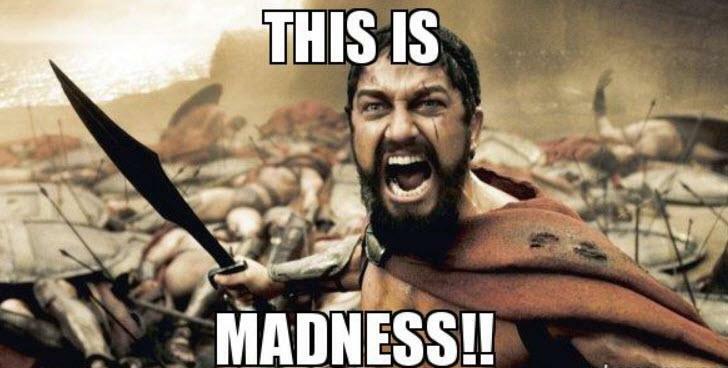 And finally this is what real market madness looks like. The normally extremely high correlation between upside implied volatility and downside implied volatility has totally and utterly collapsed, confirming that as the market soars the only "protection" being bought is... upside. 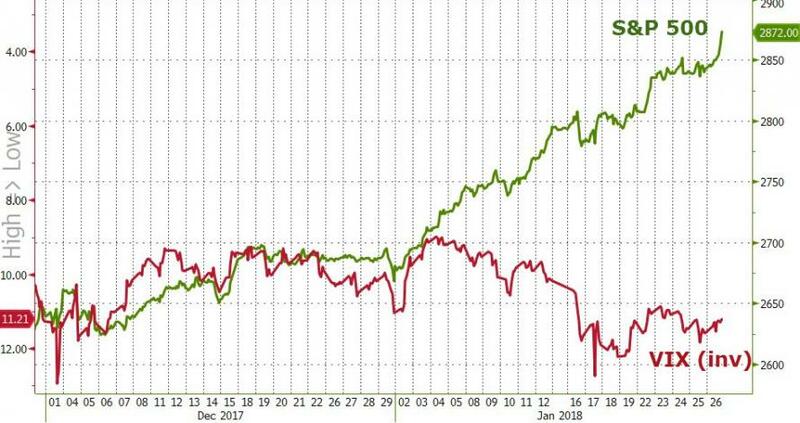 So to summarize - investors are now so convinced - by years of volatility suppression by the market's central bank sponsors - that nothing can go wrong, that they are paying up dramatically to own leveraged positions in equity markets like never before... and dismissing any need for downside protection like never before. Of course, who needs downside protection when there's levered equity risk to buy with both hands and feet.